During the Copenhagen Cooking festival, the festival and the Danish newspaper Politiken, will host what is known as Nordic Taste. It's basically a cooking contest where the New Nordic-cuisine takes on the challenge of creating new dishes for all to enjoy. Obviously it ain't all sunshine and hamburgers. In fact nothing could be further from the spirit of New Nordic. For those unfamiliar with New Nordic, we'll pause briefly to offer some insight into just what New Nordic cuisine actually means. 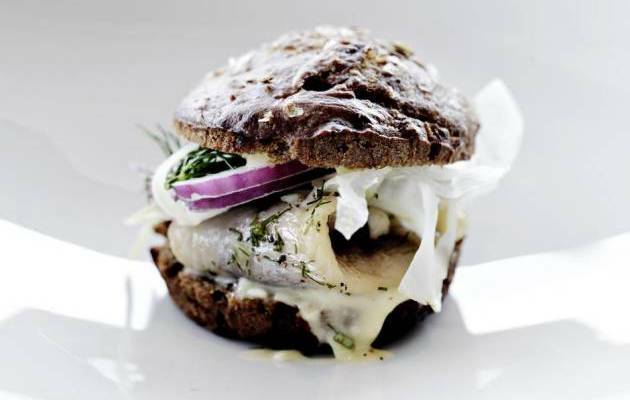 Based on the manifesto by Danish chef and businessman, Claus Meyer, New Nordic-food has to adhere to certain labels. For instance, rule number 3 says that we should aim: To base our cooking on ingredients and produce whose characteristics are particularly excellent in our climates, landscapes and waters. While rule number 10 says that we should aim: To join forces with consumer representatives; other cooking craftsmen; agriculture; the fishing, food, retail and wholesale industries; researchers; teachers; politicians and authorities on this project for the benefit and advantage of everyone in the Nordic countries. As you can see, New Nordic is not only about the food, but about sustainability and sound business as well. While we'd like to copy-paste all or Mr. Meyers food rules here, we believe he deserves some credit as he actually did the work. Therefore, head on over to his corner of the interwebz and check out the rest of his manifesto. I know it's a bit Nordic with all the rules and what not, but to be honest - some pretty great stuff has come out of it so far. Not least the much-famed NOMA Restaurant in Copenhagen which has won 'Best restaurant in the world' three times. Now that's pretty darn impressive. But then again, Danish movies sort of did the same thing with the whole Dogma95-movement spearheaded by Mr. Lars Von Trier, Thomas Vinterberg, Kristian Levring and Søren Kragh-Jacobsen. This, however, ain't really relevant here. And that wraps it up for the brief 101 on the New Nordic Kitchen. Back to the Copenhagen Cooking and the Nordic Taste competition. Time to unveil possibly the greatest thing in recent burger history. I don't even eat fish, but this thing looks so great. The herring is somewhat sweet, but the bread salty. I can't wait to see New Nordic take on the pizza, the hotdog, slush-ice, kebab and all the other things we really shouldn't eat but do anyway. I hope to share more things from the New Nordic kitchen on this blog in the future - for now, this just had to be shared. Until next installment - take care. P.S. We also have a new blogger lined up - I look very much forward to introducing her voice here on the blog. Stay tuned.